Showing 40 of 7974 results that match your query. Product - Utility Duck Tape Brand Duct Tape, Silver, 1.88 In. x 55 Yd. Product - Duck Brand 1.88" Red Duct Tape, 20 Yd. Duck Brand 1.88" Red Duct Tape, 20 Yd. Product - Duck Brand 1.88" Leopard Duct Tape, 10 Yd. Duck Brand 1.88" Leopard Duct Tape, 10 Yd. 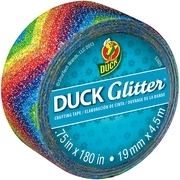 Product - Duck Brand Glitter Silver Mini Duct Tape Roll, 15 Yd. Duck Brand Glitter Silver Mini Duct Tape Roll, 15 Yd. Product - Duck Brand Electric Blue Mini Duct Tape, 15 Ft. Duck Brand Electric Blue Mini Duct Tape, 15 Ft. Product - Duck 1.88" Glitter Black Duct Tape, 15 Ft. 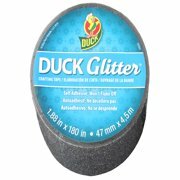 Duck 1.88" Glitter Black Duct Tape, 15 Ft. 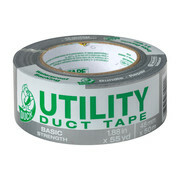 Product - Duck 1.88" Wide Duct Tape, 10 Yd. Duck 1.88" Wide Duct Tape, 10 Yd.